Home » Download , face book trick , Social Network » Download official Facebook Messenger for windows. 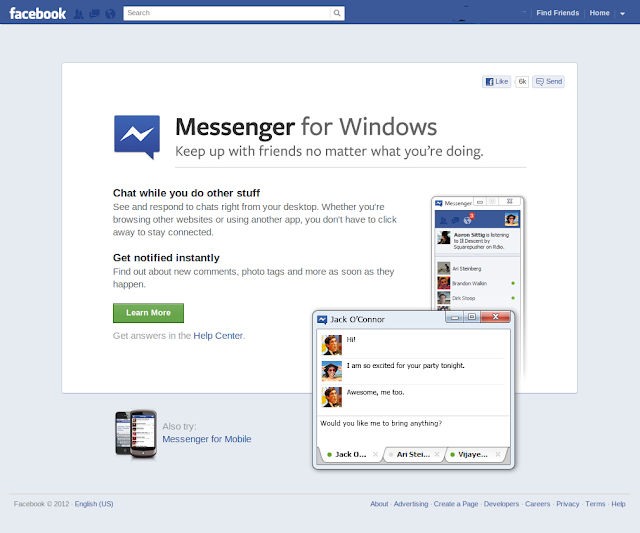 Download official Facebook Messenger for windows. 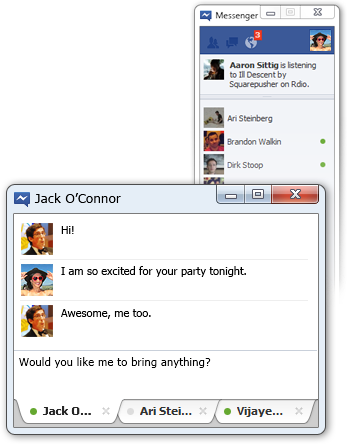 Facebook messenger is basically a windows application which can be used to chat with your facebook friends without opening any web browsers . The Facebook Messenger is available in both versions 32 bit and 64 bit for windows operating system. so as you can see above, the friend requests, messages and notifications on top, followed by the facebook ticker that updates whenever a friend likes, posts or add as friend on Facebook. 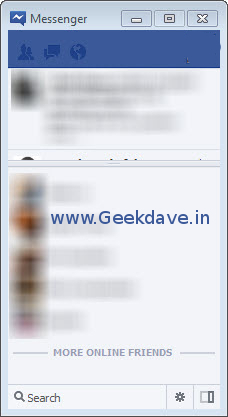 This way you see more News feed updates and lists of facebook friends available Online. chat box and notifications in a much smaller window. If you are using your web browser open only to chat on Facebook or prefer your chat window and notifications to be visible 24/7, then the Facebook Messenger application might be very useful for you ! Windows 7 ,Windows vista a may not work sometimes in xp.